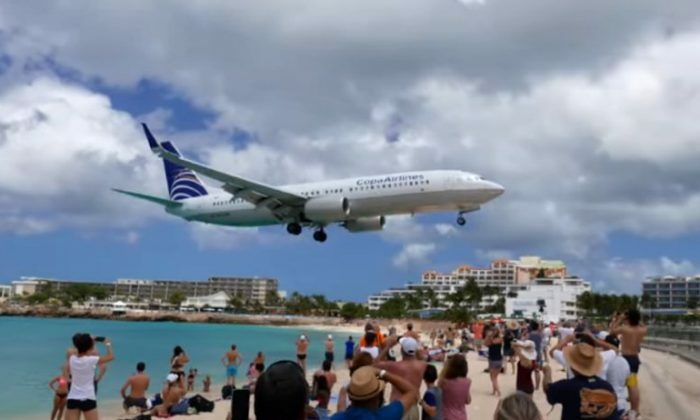 A tourist was killed by a blast from an airplane taking off near a seaside airport on the Dutch Caribbean territory of St. Maarten, said officials on Thursday, July 13. The 57-year-old New Zealand woman was tossed into a wall as she clung to a fence to feel the airplane blast, police spokesman Ricardo Henson told CBS News. The woman was rushed to a hospital, where she was later pronounced dead, the BBC reported. The identity of the woman was not released. Brison didn’t comment on the details of the woman’s death, adding that he’ll look at security footage to figure out what happened. Henson said that tourists frequently ignore warning signs that are posted around the airport, saying they should not stand by the fence. “Many people come just for the thrill of this main attraction, and unfortunately this time someone lost their life,” the police spokesman said, CBS reported. He added that dozens have been injured by jet blasts. Aviation commentator Peter Clark told the Herald that thrillseekers like standing by the end of the runway so the blast will throw then into the ocean water. “People know the dangers. It would pick you up like a piece of paper,” he said. In a statement, St. Maarten police said that they go to the area to tell tourists not to cling to the runway fence. In 2012, a woman was seriously injured when she was tossed against a concrete wall by the jet blast of a JetBlue plane. Over the years, a number of other videos uploaded to YouTube have shown tourists getting blown into the water.